For beginners or less experienced riders we suggest to choose the shorter rides in our program or to start with a tailormade riding holiday here at our farm and take lessons on our lovely lusitano horses before you go for a nice hacking after the first lessons. Please contact us for more Information. 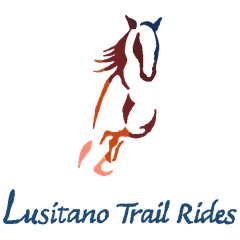 To enjoy the multiday-rides like our Lusitano Trail and the Destino Atlantico Trail you should feel comfortable to ride in all three paces, walk, trot and canter. We are happy to set up your tailormade riding program to suit your riding level and to offer you personal and tailormade horseback trails. Please contact us and we surely find the right ride for you!